Composed by Peter Boonshaft and Chris Bernotas. Concert Band Method; Book; Method/Instruction; SmartMusic. 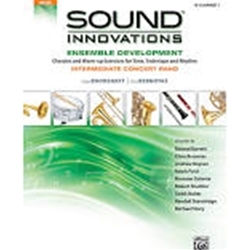 Sound Innovations for Concert Band: Ensemble Development. 56 pages. Published by Alfred Music.